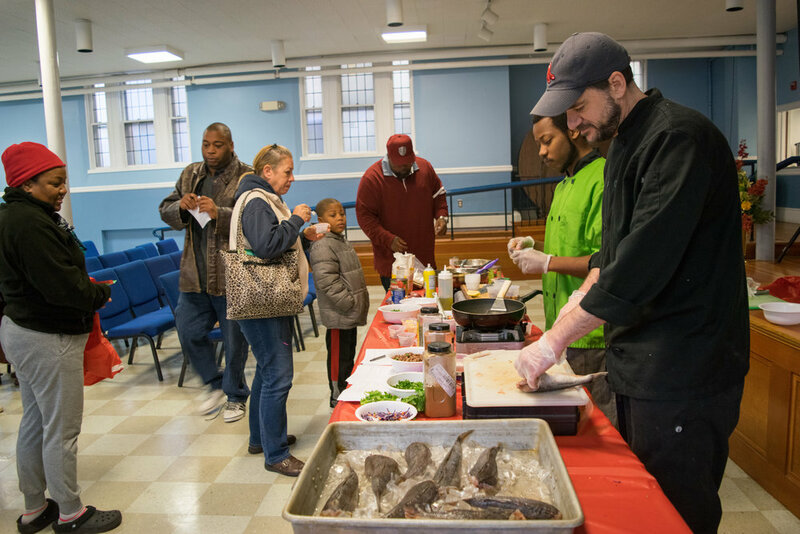 Eating with the Ecosystem's Seafood For All campaign aims to bring local seafood to low-income neighborhoods and food pantries in the Ocean State, ensuring that all Rhode Islanders have access to healthy, local seafood. Made possible by a Local Agriculture and Seafood Act (LASA) Grant from the State of Rhode Island along with the Rhode Island Foundation, Kendall Foundation, and van Beuren Charitable Foundation, this project is connecting the dots between fishermen, seafood dealers, the Rhode Island Community Food Bank, and its affiliated food pantries. Our hope is that connecting seafood with these underserved consumers can provide a win-win for both ends of the supply chain, benefiting fishermen by expanding local use of under-appreciated species, and benefiting Rhode Islanders with limited means by providing an affordable option for enjoying the best that our local waters have to offer. Our 2015-2017 pilot project puts this hypothesis to the test. 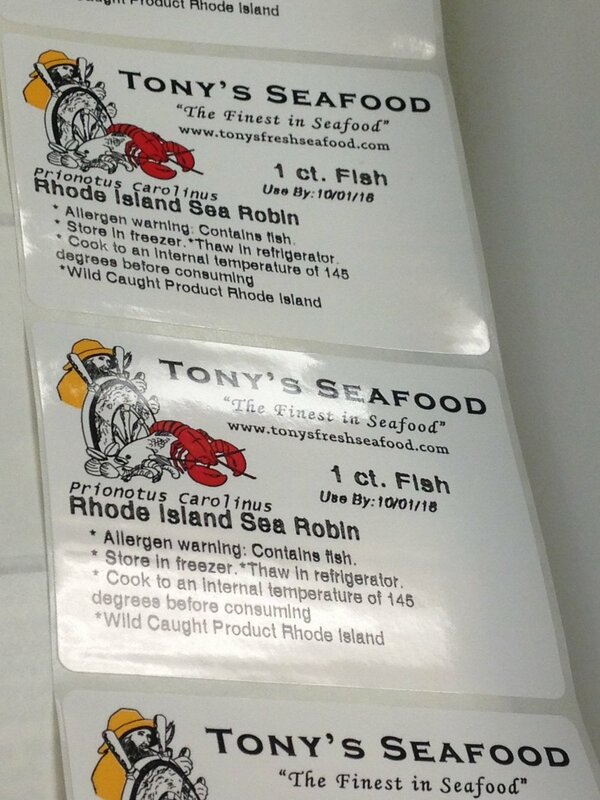 To date, we have partnered with the Rhode Island Community Food Bank and two seafood distributers - Tony's Seafood and Town Dock - to provide over 8,600 pounds of under-appreciated seafood to families in need. 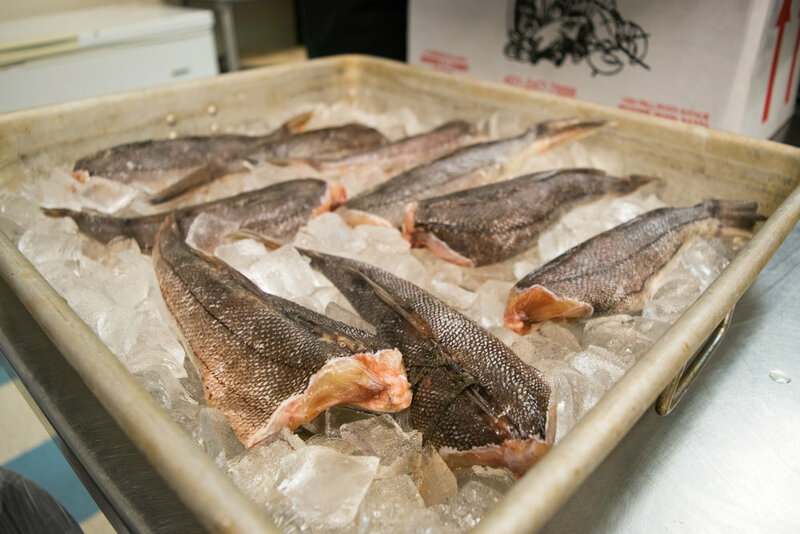 Species distributed include scup, sea robin, and underutilized pieces of cod. We also held cooking demos with samples for consumers to try less familiar fish such as sea robin. The project ended in December 2017 however, the Rhode Island Food Bank continues paying for fish through at least one of the supply chains started through this project. Our final report was researched and written by Shayna Cohen of Karen Karp & Partners food systems consultants. Read our Preliminary Report: In Spring 2015, we partnered with a capstone class from the University of Rhode Island's Department of Environmental and Natural Resources Economics to study the feasibility of this proposed seafood-to-food-pantry supply chain in Rhode Island. 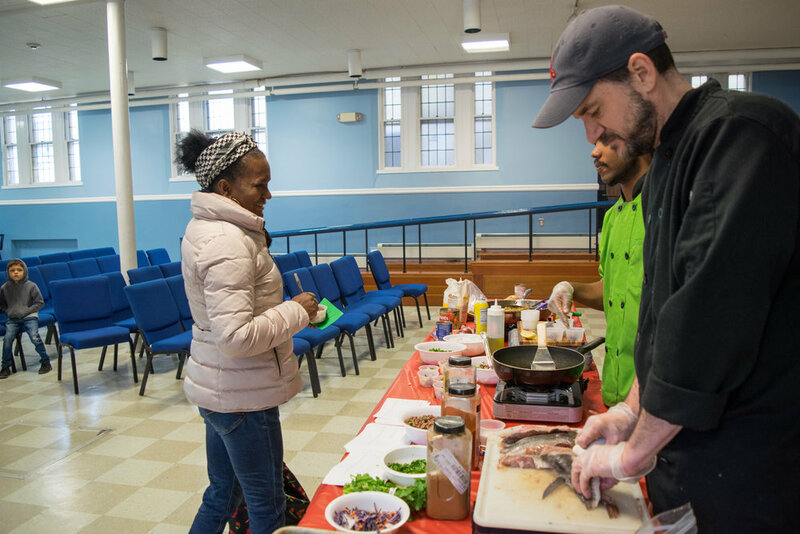 Read our final report, "Connecting undervalued Rhode Island seafood with local food pantries: A win-win for fishery producers and food insecure consumers?"